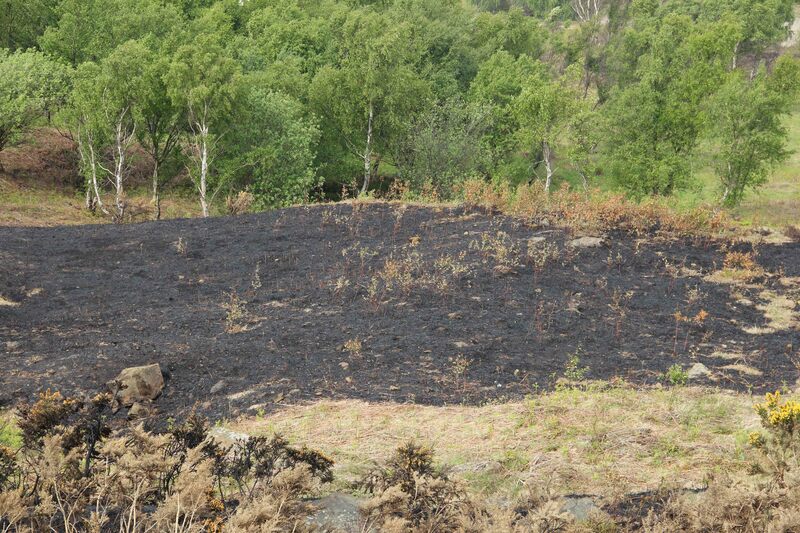 Firefighters from Cleveland Fire Brigade are to work with special at risk communities over the coming weeks as part of the ongoing battle to defeat arson by targetting one of the areas that suffers from grass fires. The Brigade recently launched its summer arson prevention campaign at Summerhill Country Park in Hartlepool, as a location that has been the target of deliberate fires. Although arson is significantly reducing overall, the number of grass fires in Cleveland between April and June 2013 was 341% up on the corresponding period for the previous year. In 2012 the figure was 121 but this rose to 534 in 2013. Steve Harll, Station Manager for Grangetown Fire Station, said: “Eston Hills has suffered significantly in the past from grass fires and it’s time to say ‘Enough is Enough’. “During the summer holidays firefighters from Grangetown will be teaming up with the Police and other key partner agencies to carry out patrols of the area and interacting with the community to reinforce the messages about the dangers and cost of arson. He went on to say that firefighters are asking people to report anyone they suspect of arson. "As we have seen recently in America, grass fires can be extremely dangerous and have a devastating affect. If there is a strong wind fire spreads faster than a person can run," he added. "They can also be very time-consuming and resource intensive and divert firefighters away from other potential life-threatening incidents." In 2012/13, arson accounted for seven out of ten fires in Cleveland. There were 1829 incidents which cost taxpayers a total of £10.1m. This was however significantly down on the previous year when there were 3039 incidents at a cost of £16.8m.